What happens when biblical verses are removed from their original context and used to construct liturgy? How does context serve to create a theological turn? What happens if we are not knowledgeable enough to know that this change has even happened? Using the example of Lam 5:21, we will examine these questions and consider afresh the meaning of both the biblical text and our liturgy. 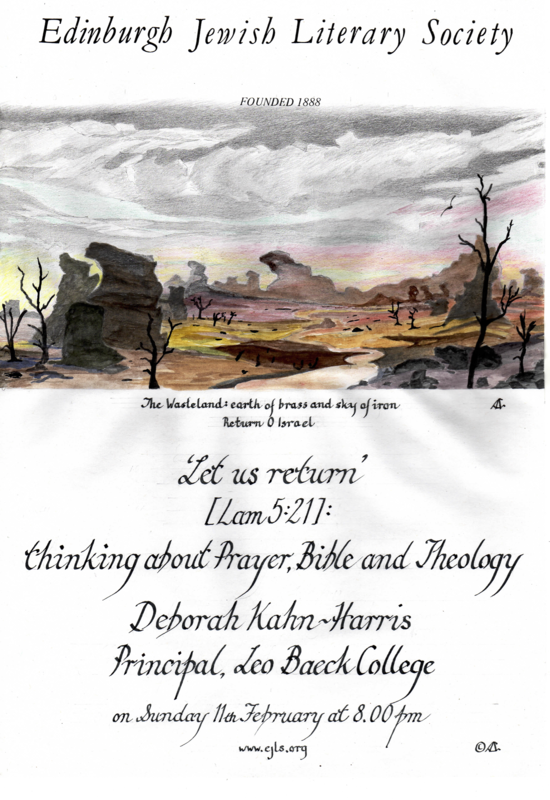 Deborah Kahn-Harris is the Principal of Leo Baeck College (LBC), the rabbinical seminary for Progressive Judaism. She holds a PhD in Bible from the University of Sheffield entitled ‘Like a Hammer for Shattering Rock: Employing Classical Rabbinic Hermeneutics to Fashion Contemporary Feminist Commentary on the Bible’. Prior to her appointment to LBC in 2011, she was a congregational rabbi as well as a teaching fellow in Judaism at the School for Oriental and African Studies, University of London.